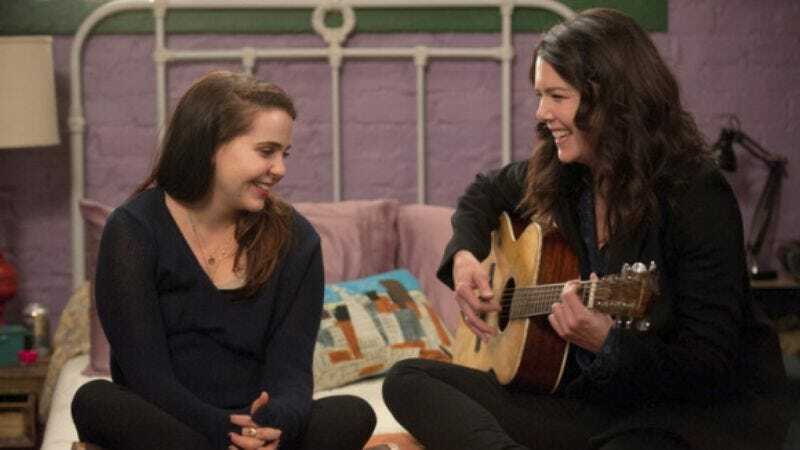 The Gilmore Girls reunion will also be a Parenthood reunion: TV Line reports that Mae Whitman, who played Graham’s TV daughter on Parenthood, will make a cameo in the four-part Netflix revival of Gilmore Girls. The details of the cameo are being kept under lock, but Whitman will apparently share a brief moment with Graham’s Lorelai. If it’s anything like their scenes in Parenthood, there will be lots of crying, hugging, and more crying. Whitman has long been a devoted Gilmore Girls fan, and shared her excitement about the revival when it was first announced earlier this year, Photoshopping her own face onto most of the cast members. Now Whitman won’t have to rely on Photoshop to make herself a part of Stars Hollow, as, unlike Melissa McCarthy, she scored an invitation to the ball. We assume Whitman’s off doing a celebratory dance somewhere. Last year during the ATX Festival—where rumors of the potential revival first started brewing—Whitman met Graham’s other TV daughter, Alexis Bledel. After a brief “feud,” the pair fell in love, proving there’s room for all of Graham’s TV daughters in Stars Hollow. Production on the revival—which is tentatively being called Gilmore Girls: Seasons—recently began in Los Angeles.